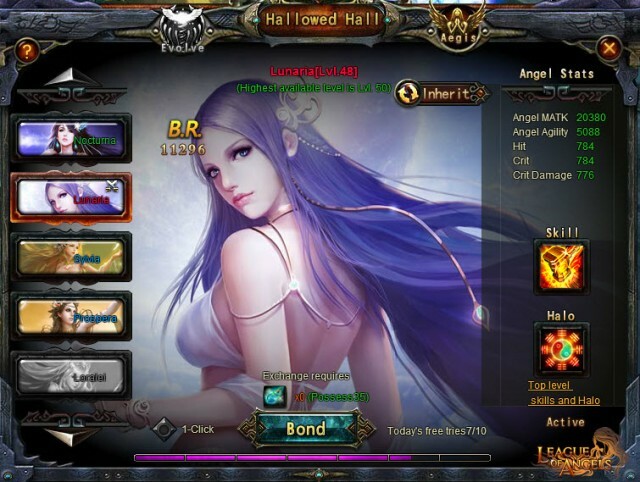 How do you make League of Angels' Angel stronger? 1. Click the Angel button at the bottom of the screen. 2. Select the Angel you currently have deployed (if you have just started the game, this is most likely Nocturna). 3. Click bond to give your Angel more EXP, with Angel Tears. Alternately, you can select “1-Click) then click bond to use all available Angel Tears. 1. Every 10 Levels, you will be asked to upgrade your Angel. Upgrading your Angel increases the quality of its Skill and Halo. 2. To upgrade your Halo, make sure you have the correct amount and Level of Holy Crystals. If You find yourself lacking the correct amount, you can get Holy Crystals by Blitzing Dungeons, exchanging them in the Arena Shop, and buying them. Also, please remember that lower level Holy Crystals can be synthesized into higher level ones. 3. 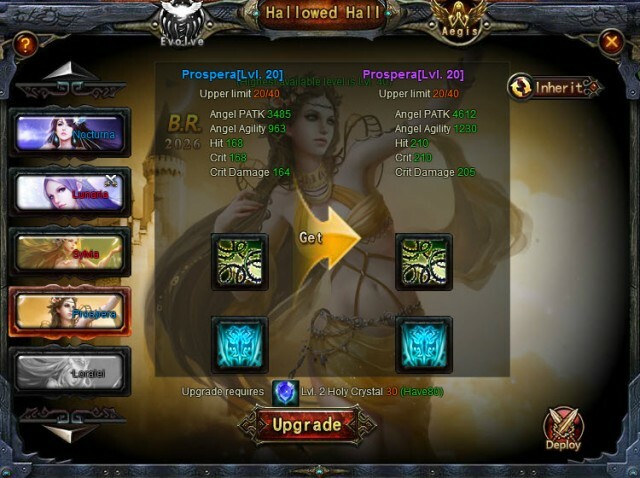 After you have the correct amount of Holy Crystals, click upgrade!